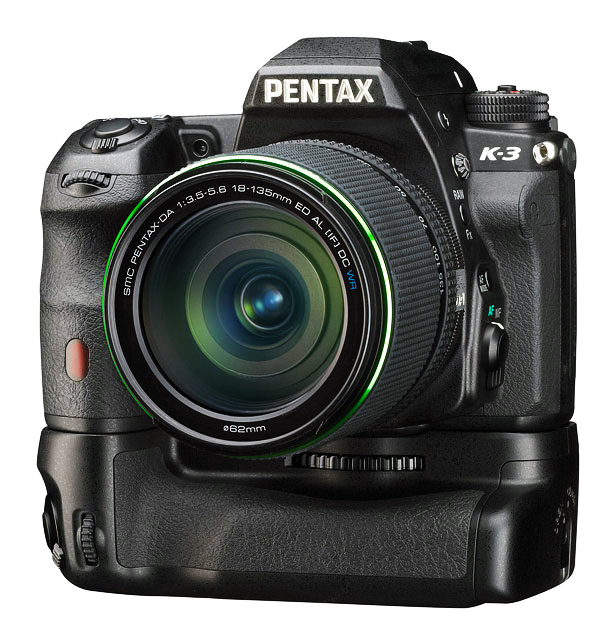 The Pentax K3 (SLR) from Ricoh includes focus peaking and it works really well. It would just be nice if there were extra settings for it. Being able to set how long it stays on would be wonderful. I would like it to show up when I’m focusing then go away but it stays on all the time. Also the menu doesn’t save the position for this setting for some reason, so you have to open up that extra menu every time. Maybe that’s a programming mistake. The image quality is quite good. The grip is a little bit bigger than the K5II and K5IIs making it easier to hold, but that also means they had to make a new battery grip. The text quality on the LCD screen is a little clearer than on the K5II and K5IIs, which is nice. You can’t turn off the brightness compensation indicator which gets in the way on the live view screen at times. This is really annoying. Also for some reason you can’t turn off the 4 white points which show where the screen is broken up into thirds.